Donald Trump has said it is a “great honor” to receive a compliment from Vladimir Putin during the Russian president’s annual news conference. The Republican presidential hopeful hailed Vladimir Putin as a man “highly respected within his own country and beyond”. It comes after Vladimir Putin said Donald Trump was a “very colorful, talented person” during the news conference. After hearing Vladimir Putin’s comments on December 17, Donald Trump released a statement praising the Russian leader. “It is always a great honor to be so nicely complimented by a man so highly respected within his own country and beyond,” he said. Donald Trump is currently widely regarded as the frontrunner in the race for the Republican presidential ticket, a race where other candidates have made no secret of their wariness of Vladimir Putin. President Vladimir Putin made his remarks during his televised annual news conference at which he used crude language to lash out at Turkey, a NATO member and key US ally in the conflict in Syria. 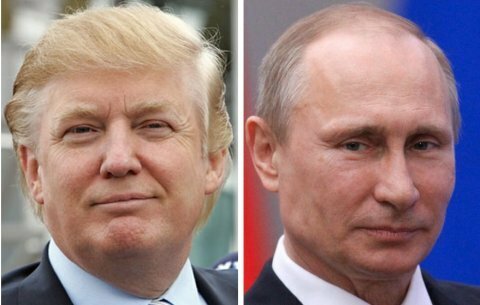 In October, Donald Trump told US TV network CBS that he and Vladimir Putin would “probably get along… very well”. One of Donald Trump’s rivals for the Republican ticket, Jeb Bush, criticized his response to the Russian leader’s remarks on December 17.